You can always count on Bobby Previte to give you something innovative, something that sews new seams between musical genres. 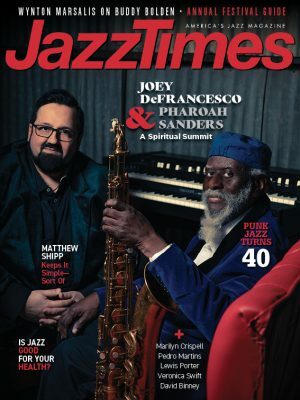 Rhapsody was commissioned by the 2015 Greenfield Prize for Music, enabling the composer-drummer to complete the second part of his trilogy, which began with Terminals in 2014 and is meant to explore the experience of travel. Anyone who heard Terminals probably had unreasonably high expectations for Rhapsody. The former is a set of five concertos written for the Brooklyn ensemble So Percussion, each featuring a soloist—Previte, John Medeski, Nels Cline, Zeena Parkins, Greg Osby—and creating an array of different tones and moods within the percussion tradition. Rhapsody brings back many of the soloists—the Austrian Fabian Rucker replaces Osby on alto, and vocalist Jen Shyu is added—to comprise a formidable sextet. But the work puts its worst foot forward with the opener, “Casting Off,” anchored by a monotonous riff not compelling enough to recall Steve Reich or Terry Riley, but distracting enough to detract from Shyu’s vocals and Rucker’s horn. Maybe it’s supposed to depict the ennui portion of travel. That’s followed by “All the World,” which has many sectional shifts that, even with repeated listening, don’t cohere. The rest of Rhapsody is a pleasantly acquired taste, however. “The Lost” exploits the earlier fragmentation, with a haunted funhouse of bold, abstract snippets that tunefully strew the sounds of Cline’s guitars, Medeski’s keyboards, Parkins’ harp and Previte’s percussion. “When I Land” comes home to song form, and Shyu’s voice is backed by the crystalline texture of harp, piano and guitar. Medeski’s sturdy circular piano riff ushers in the pressing martial rhythms of “The Timekeeper,” a triumphant anthem limned with anxiety. But the highlight is “All Hands,” a string-driven affair plus saxophone that gradually intensifies into a tour de force for Nels Cline. Although not as enjoyable as Terminals, Rhapsody lands enough of Previte’s inimitable concoctions to make you look forward to the journey’s final leg. 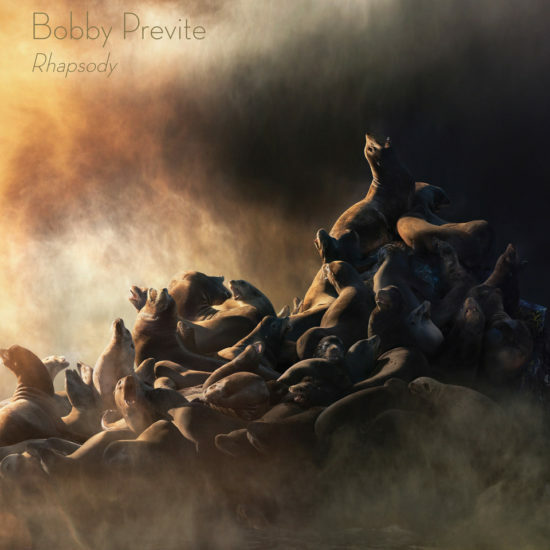 Preview, buy or download songs from the album Rhapsody by Bobby Previte on iTunes.